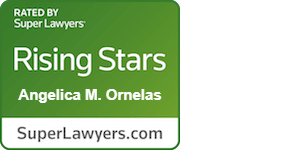 Angelica Ornelas devotes her practice to representing consumers, insureds, and fraud victims. Since joining the firm, Angelica has litigated cases resulting in over $200 million in recoveries for plaintiffs. Her representative matters include Daccache v. Raymond James Financial, Inc., brought on behalf of victims of the Jay Peak investment fraud—the largest in the history of the EB-5 visa program—and Larson v. John Hancock Life Insurance Company (U.S.A), a certified class action alleging that John Hancock improperly inflated cost of insurance charges deducted from its customers’ life insurance policies. She currently represents policyholders in similar “cost of insurance” litigation, including In re Lincoln National 2017 COI Rate Litigation, Maxon v. Sentry Life Insurance Company, Spegele v. USAA Life Insurance Company, and Bally v. State Farm Life Insurance Company. Angelica grew up in South Monterey County. She earned an undergraduate degree from UC Los Angeles and completed a master's program at San José State University before receiving her law degree from UC Berkeley. Angelica speaks Spanish and French. Representing consumers who purchased MacBook laptops equipped with faulty “butterfly” keyboards. Representing the city of Fremont in multidistrict litigation against sellers of defective artificial turf fields. Represented insureds who were improperly assessed inflated cost of insurance charges. Recovered $59.75 million for a certified class of policyholders.